Last week, we held two more training days for remote teachers working on the Plan Ceibal English project. In Buenos Aires, this was the first training day that the British Council and Plan Ceibal have organised since the project began, and this was followed the day after with the third RT training day in Montevideo. On both days, while waiting for the sessions to begin, I interviewed some of the teachers to find out what they thought were the challenges of teaching children English via video conferencing and what they enjoy the most about the project. Interview with RT Isabel Aurelio from Graham Stanley on Vimeo. Plan Ceibal English RT Training Day Interviews - Buenos Aires from Graham Stanley on Vimeo. Interviews with RTs in Montevideo Sep 2014 from Graham Stanley on Vimeo. Interview with British Council quality manager Mem from Graham Stanley on Vimeo. Last week, Dr.Richard Smith had been due to give a workshop and attend an English breakfast in Buenos Aires prior to presenting at the 39th FAAPI / APISE congress in Santiago del Estero, Argentina. Unfortunately, he had to cancel at the last minute and the British Council Argentina asked me if I could come to Argentina earlier than I'd planned to so they could fulfill their commitments to the embassy and the school they'd planned the workshop for. I was happy that I could do so and decided to keep the theme of the workshop that Richard had planned. I prepared slides to go with it, but there wasn't a projector at the school, so I abandoned this and stuck to the low tech of paper, pens and post-its on the day. I told the 80 participants that I'd share the slides here and also summarise what they prepared, so here it is! 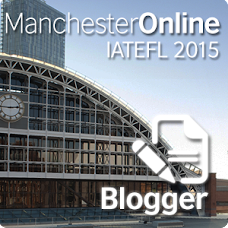 Many English teachers find themselves teaching in difficult circumstances. Large classes, multiple levels, and demotivated students are just three realities that can make language learning and teaching a challenge. The idea behind this interactive workshop is to examine these difficult circumstances and others, and to use our shared experience as teachers to help each other with classroom strategies and ideas to overcome the challenges we face on a daily basis. The workshop was organised by the Ministry of Education of Buenos Aires, Lenguas Vivas and the British Council Argentina, and held at a teacher training school in the south of Buenos Aires. I kicked off by briefly introducing some difficult circumstances that English teachers have to cope with (large classes, multiple levels, demotivation) to the 80 participants and some innovative solutions that have been put into practice around the world, with varying results (Crazy English, China; SOLEs, India and the UK; Plan Ceibal, Uruguay; Hole-in-the wall, India; Plasma teaching, Ethiopia) – these are all large-scale projects, but can individual teachers help each other teach in difficult circumstances? This was the purpose of this workshop – to use our collected experience to help each other. A student was particularly disrespectful to the teacher several times (both verbally and non-verbally). When the teacher presented the issue to the school head, she underestimated the importance of this and offered no support. I have a demotivated student who will not work. His family is absent an all respects. He just wants to play games in his netbook. I have two students in the same class with different special needs, so I have to do different types of activities each class. Many students come and go - that is, there should be 36 students but 20 of them usually attend and the others are absent. The absent ones usually come only once every month. My students come from a complicated background - they are all from a shanty town and they are used to stealing, etc. I have a class of 20 teenagers - 4 of them usually sleep. The rest are demotivated and they say their parents send them to school and they don't want to be there. One of my first grade students gets violent and starts hitting classmates or throws objects at others. When he misbehaves it is impossible to do anything. I have 39 students in class and 5 of them have phsychological problems, which leads to misbehaviour. My students hide a cell-phone in the classroom and make it ring as the teacher explains something or when the students are interacting. I had 3 students in class with ADD - it was a great problem to teach them in a class of 28 13-year-olds. I have kids who misbehave and parents who back-up the kid instead of supporting the teacher. I have students who are not motivated to learn - they think they cannot do it. I have 41 students in class. They do not pay attention. They do not work in class. They do not have the material (the book). I next read out some of the difficult circumstances (we only managed to get through 2 of them because of the number of participants) and the teams discussed each one and then wrote their prevention or solution on the flipchart. Once each table was finished, the prevention/solution suggestions were read out and participants voted for and discussed the merits of each. Create activities to integrate students from both groups and ask students from the higher level to help/monitor students from the lower one. Change activities for that day and give students options. Alternatively, forget the book! 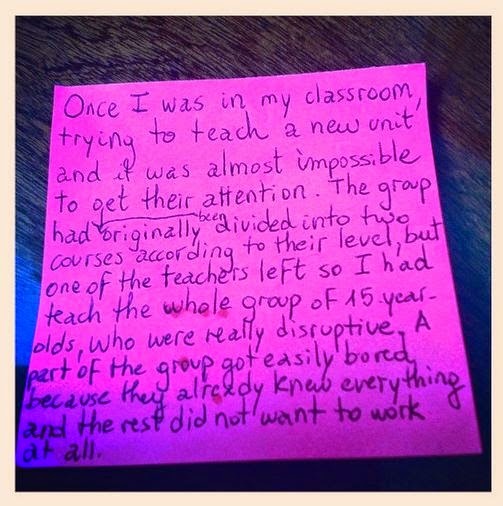 Plan the class to take this into account - divide the students between teachers if possible. Mix the two groups to play a game. Advanced students can help lower ss or they can work on a listening activity (e.g. a song). Give activities according to their level/knowledge of the language. Set relaxing activities/routines to start working and use simple instructions and demonstrations. Use a warm-up activity before giving instructions (sing a song they know, read a short-story, etc). Also, consider carefully the moment in the day when planning the class. Include an agenda on the board so the students know what the steps of the class are. Set up quiet activities, such as a crossword, a short story or song. 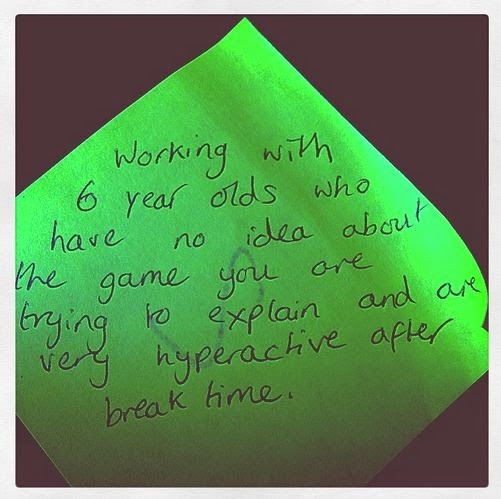 Do a relaxation activity to calm them down, then you can explain what the game is about. Sing a song, make them sit down and be quiet, give clearer rules. 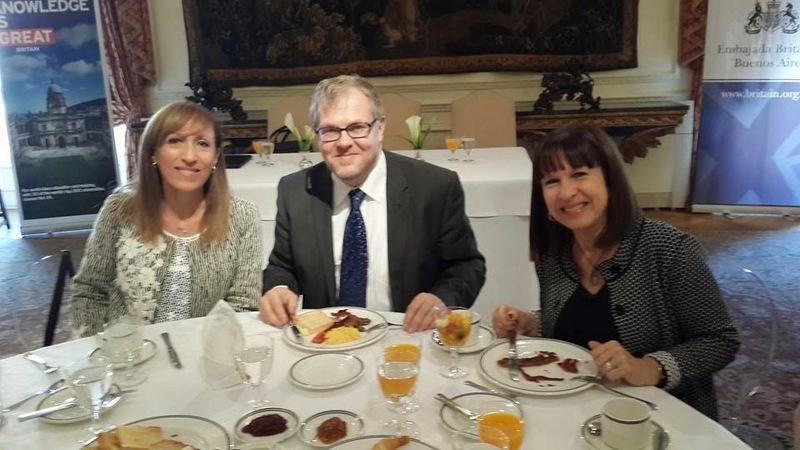 The morning of the workshop, there was an informal English breakfast event held at the British Embassy's Official Residence of the Ambassador in Buenos Aires, with Jim Scrivener and myself being asked questions by Claudia Ferradas and members of the audience. I think it was a very successful event, and I thoroughly enjoyed the discussions that took place, from classroom management to demand high, remote teaching to digital games. Claudia, as moderator did an excellent job of making sure everyone was concise and that a range of topics was presented and discussed. 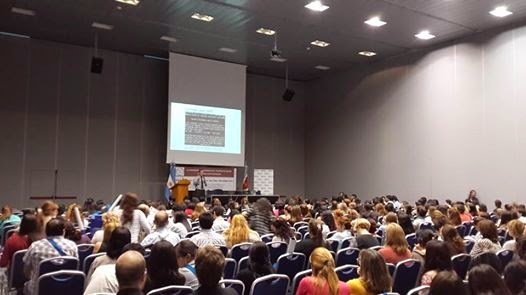 Last Friday, thanks to the British Council Buenos Aires, I had the pleasure of leading this workshop with 300 participants at the 39th annual FAAPI conference in Santiago del Estero, Argentina. Apart from being surprised at the number of participants, I was encouraged to see so many hands being raised when I asked how many of the teachers in the audience played games themselves. Normally, when I ask this question, less than half the audience put up their hands, but this time more than half of the audience raised their hands. After running through reasons for using games in the language classroom and showing how graphics in games have changed since the early days, I had time to work through two digital games-based activities with the participants (Droppy and Spent) and to talk briefly about other games that can be played. Because Jim Scrivener had been one of the plenary speakers, and the focus of his opening plenary and follow-up workshop was 'Demand High ELT', I'd decided to focus on this and how tasks using digital games can be prepared by teachers who want to push their students and get the most out of each of them. I know some teachers have said this is common sense and something they do anyway, but I think it's an excellent idea and well worth emphasising at a conference such as this. You can read more about Demand High on the Demand High website that Jim and Adrian Underhill manage. The ideas I showed during the workshop were based on those that can be found on the Digital Play blog and in the Digital Play book I co-wrote with Kyle Mawer, who also keeps a great wiki with many links to games, activities and walkthroughs. 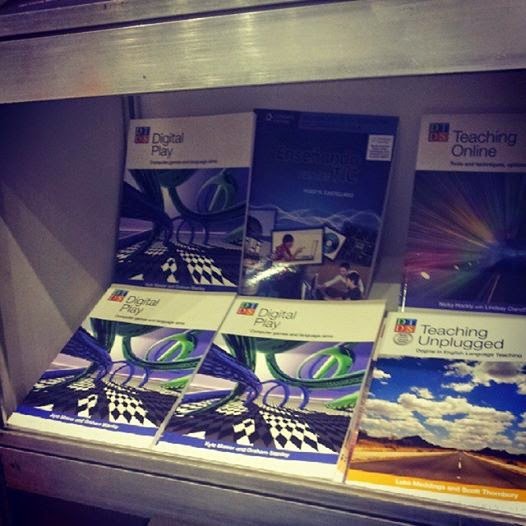 I was also very surprised but pleased to see that Cengage had copies of our book on sale at the conference - surprised because since its publication I've been looking for it at the conferences I've presented at and have been disappointed that it wasn't available - hats off to Cengage Argentina for being the first publishers to reverse this trend. Unfortunately, CUP Argentina didn't have any copies of Language Learning with Technology on their stand. A missed opportunity.